Madame Manigat spoke about Insecurity in Haiti. "No one is safe," she said. 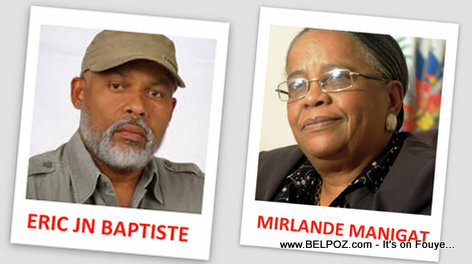 Regarding the incident, Mirlande Manigat said she could not any specific comments as to why someone would decide to open fire on Eric Jean Baptiste; however, she said, anytime something like this happened, is draw attention on the problem of insecurity in Haiti. Insecurity in Haiti is really a problem, you often hear it on the radio, you don't know who has fallen, but when it happens to someone really close to you, you become more alert on the problem, Mirelande Manigat said. It is a national problem and it concerns us all, she continued.